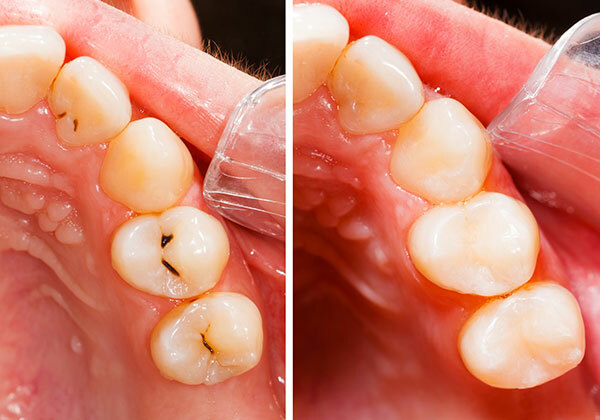 White fillings, also called composite fillings, are made from tooth-coloured materials that restore the natural appearance of a decayed or previously filled tooth. They blend well with tooth enamel and look tooth coloured. As they bond to tooth structure, they also help strengthen teeth.